During the last week of January, there were fewer than 100 reported new cases in those countries. The region hasn't seen infection rates that low since last June when the deadly virus began ramping up and ravaging the region. 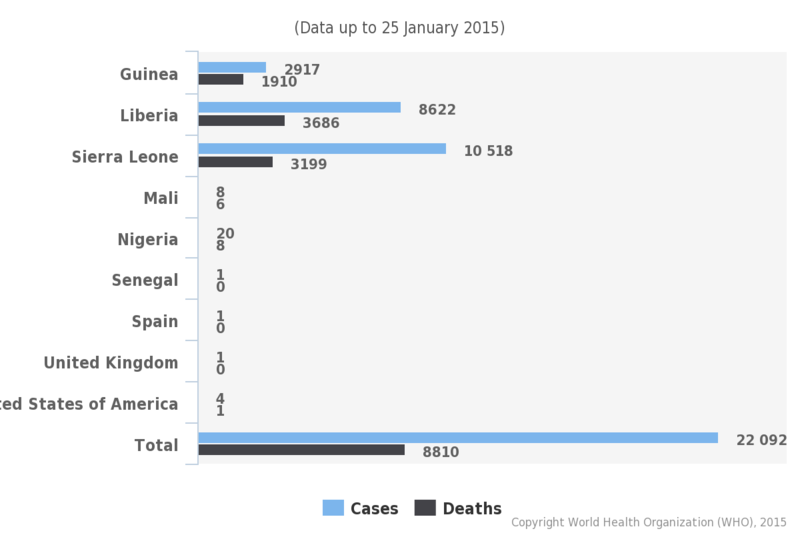 To date, more than 22,000 people were infected with the virus and almost 9000 have died from it, with a disproportionate number of the deaths and infections striking Liberia, Sierra Leone, and Guinea. The rate of infection has slowed so much that Chimerix, a North Carolina-based pharmaceutical company announced last Friday that it was halting its clinical trial of brincidofovir, an antiviral that showed promise against the virus when it was used in dire emergencies at the height of the epidemic. The company expected to enroll 140 patients in the study which began on January 2. They had enlisted fewer than 10 subjects by last Friday. The problem is not that Liberians were unaware of the trial; it's that there are simply too few sick people. The downside to this very positive development is that there is no licensed Ebola treatment, and Chimerix has indicated that it will cease all of its Ebola trials to focus their resources on ongoing trials of brincidofovir, which was originally developed to treat cytomegalovirus and adenovirus. While there are no clinical trials for Ebola drugs in Liberia, Doctors Without Borders is testing Avigan (favipirovir), an antiviral developed by Fujifilm in Doctors Without Borders' clinics in neighboring Guinea. Efforts to produce a vaccine are also underway. On Monday, UK pharmaceutical company GlaxoSmithKline (GSK) and the United States National Institutes of Health (NIH) launched clinical trials of what could be the first Ebola vaccines. The drug maker and the NIH are looking to enlist almost 30,000 healthy people over the age of 18 in Liberia. The study subjects would include ordinary citizens, as well as healthcare and NGO workers. That the rates of infection have declined presents a slight wrinkle in testing the vaccines' efficacy: the chances that the newly vaccinated people will be exposed to the disease have fallen dramatically. According to an NPR report, blood tests can indicate whether vaccine recipients' immune responses are working as expected. "If that response closely resembles the immune response in monkeys — where the vaccine has been shown to be protective — it's possible that a vaccine could be approved on that basis alone, [National Institute of Allergy and Infectious Diseases director Dr. Anthony] Fauci says." 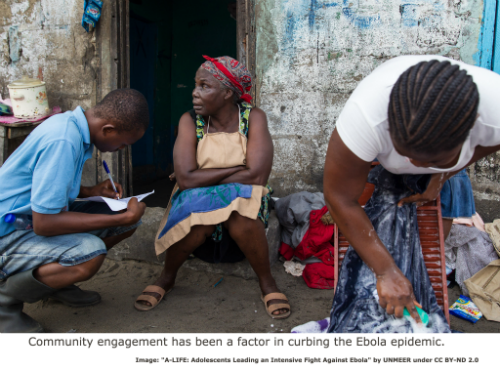 Besides the epidemic having "run its course," local health authorities and NGOs have been instrumental in getting the word out to citizens about containing the disease. Health authorities have enlisted local people to educate their fellow citizens about protecting themselves and their families. Some affected countries have also engaged law enforcement to ensure that people adhere to protocols to prevent spreading the virus. In Guinea, for example, people who conduct improper burials or who hide sick people risk prosecution.